And of course, one of the most important things you’ll need is a wedding cake. Should it be three or four tiers? Fondant or frosting? It better be perfect! There is a similar excitement when you start a new company or a new marketing plan and need a new website. Like a wedding cake, your website will be the focal point of the reception; you will invite many people to see and share the event. This is a mission-critical element to your wedding. You desire personal attention, shared excitement, and high-touch service. You want your personality, culture, and values to be represented in the design. Your memories of the decision process will indirectly affect your appreciation of the final product. 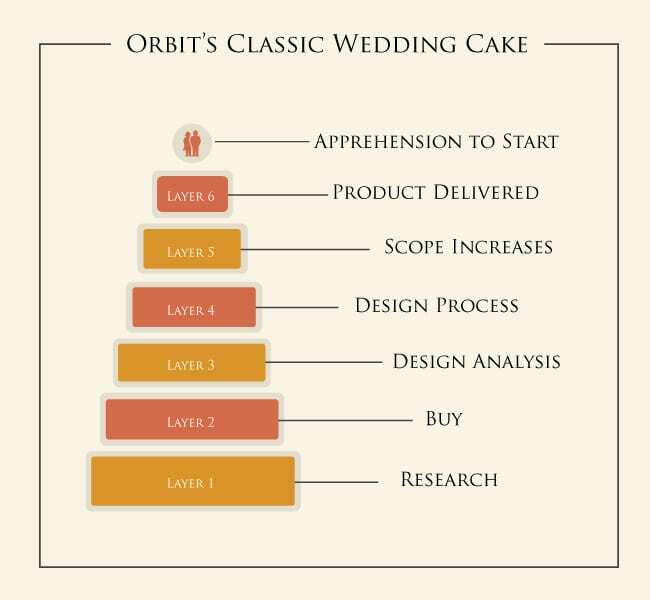 The process below illustrates how great web design firms create great wedding cakes. You start by asking your friends and family where they got their wedding cake. To cover your bases, you search Google for the suggested bakeries and other wedding cake bakeries in your area. You read the reviews and choose a few bakeries based on reputation. You inquire for quotes and ask to see recent samples. You request that they deliver on a specific date. You go in to do a taste test. You choose a bakery based on the cost, how much you like the designs and tastes of the cakes, and because you really connected with the chef. You are asked a series of questions about your opinions on decorations, colors, shape and filling. The chef shows you photos of sample cake decoration styles. You show the chef your dream cake – which is much like one designed for a celebrity wedding (that no one actually ate). The cake designer presents a few options based on your budget, design requests, the filling, and size to serve the number of expected guests. You ask to use a different ribboning, change the yellow to blue, use round instead of square tiers, have five-petal flowers instead of six, and request more sparkle. You give your approval and go off to plan the rest of your reception. You call the bakery a few weeks later to explain that the number of guests coming is bigger than first expected and you need another layer. The bakery explains the costs to undo and redo the cake plan. You say “O.K., thanks!” (after a brief cost negotiation). You go back to the bakery a couple days before the wedding to see how it looks. You are so overwhelmed with joy and anticipation at the sight of the finished product. The cake is delivered and presented to your guests to much delight. There are many “ooohs” and “aaahs” (but, of course, some people voice their critical opinion). You are hesitant to make the first cut because you don’t want to damage such a beautiful cake (someone needs to hold your hand while you do it). The cake is finally served. Orbit Media treats the design of your website with as much care as your wedding cake. We know that this design represents the values and culture of your company, and there is emotion driving the decisions. We adhere to a collaborative design process – your opinions matter and will greatly affect the final design. At the same time, our website designers bring the highest level of expertise in functional and aesthetic design. Combined, it’s a recipe for brilliance – all the right ingredients to bake and decorate a perfect cake! Chef Barrett- I’m well aware of your website prowess, but I’m amazed at your knowledge of wedding cakes. I’d add that at times we get emotional and treat both like they are the absolute most important decision that will ever be made. It’s important to keep them both in perspective and in context of the big picture. Nice job on this article! @gettelfinger My first job was a cake decorator at Baskin Robbins – which would be the other end of the cake decoration spectrum from wedding cakes, but still relatively similar in process. @minimins The similarities are uncanny. Love it. I have a question – what type of questions do you ask to try to predict scope increases? @manamica Our Kickoff document contains so many questions to help minimize the chances of scope increases. It starts with overall goals and drives down to the information and best features to display it. Sometimes new requests are identified during that part of the process. Clear expectations is the key. Neither clients nor Orbit want to be surprised by the final product. 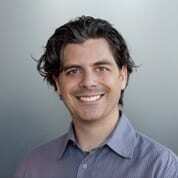 @barrettoms @manamica Curious: how long is your kickoff doc? Do you get quality answers or do you pair your intake document with a kickoff meeting where you dive deeper into the client’s goals with helpful prodding? @katemhamilton @barrettoms @manamica We do all of the above. The length and depth depends on the functional specs and mission-critical-ness of the project. A marketing site will contain the standard questions, ecommerce will double the questions, and integration has its own set of questions. There is prep time before the kickoff meeting for the client to enter answers and an Orbit project manager to review. Orbit will have a pre-kickoff meeting internally to review the goals, proposal, and client responses to the questionairre. Usually we need one kickoff meeting to settle all concerns. If there are high design requirements, there may be a separate design meeting with the client branding manager. If there is integration, there is always a separate meeting with the client IT team. Sounds like a preview of our kickoff guide would be useful on our website! @barrettoms @manamica I’d be really interested in reviewing the guide! Thanks for the thorough reply too! This would make a great one-page info sheet for the web design apprehensive. I love the comparison and the prolific writing! I would say WordPress themes are analogous to Baskin-Robbins cakes. I would say stock WordPress themes are analogous to Baskin-Robbins ice cream cakes. @charlestondjentertainment Never thought about the similarities between a website and a wedding cake. You make some great points. I always use and prefer WordPress for building my sites. However, I do customize each one and absolutely love its flexibility and user-friendliness. @mvaughnsc @charlestondjentertainment We like WordPress too! Thanks for commenting.